Challenge: My students’ throwing motion on their serve needs work. Note: It may be easier to start in a modified beginning position, demonstrated in the second photo in the sequence image above. 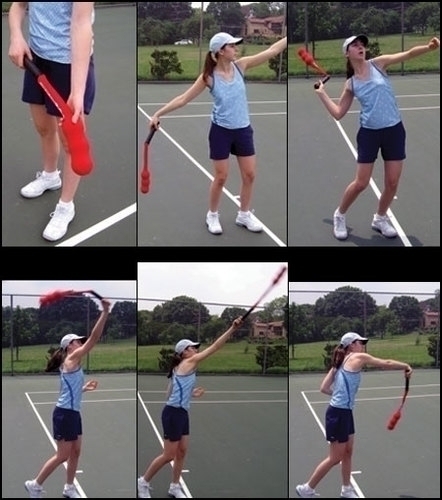 The serving sock is the same length as a tennis racquet from grip to center of strings.